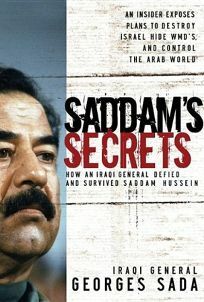 Former Iraqi General Sada delivers a riveting inside account of Saddam Hussein's tyranny, including confirmation of the existence and hiding of weapons of mass destruction. Despite being a Christian and refusing to join the Baath Party, Sada was promoted to Saddam's inner circle for his honest advice. Sada criticizes most countries and the United Nations (whose workers he accuses of accepting bribes) for their complicity in propagating Saddam's regime. But he strongly praises Operation Iraqi Freedom, pointing out that no other country would take the first step. The book has an unexpectedly religious angle, being slightly Christian-centric and paranoid over Muslim population growth in the West. Regardless, Sada blames Saddam for destroying Iraq, but remains hopeful the nation will have a chance to become a modern society, fulfilling its great historical legacy.